Why is it that when we are kids we love to spend all our time at our next-door friend’s house? Why do we love the food cooked at their house, rather than the food cooked by our mothers, no matter how good it is?? I was that kid; impervious to my mother’s calls, I would play all day long at my neighbor’s house, eat there and sleep there. Well, as they say, history repeats itself. Now it is the same with my daughter. Hats off to my mother who put up with my tantrums (and all the mothers who go through the same on daily basis). 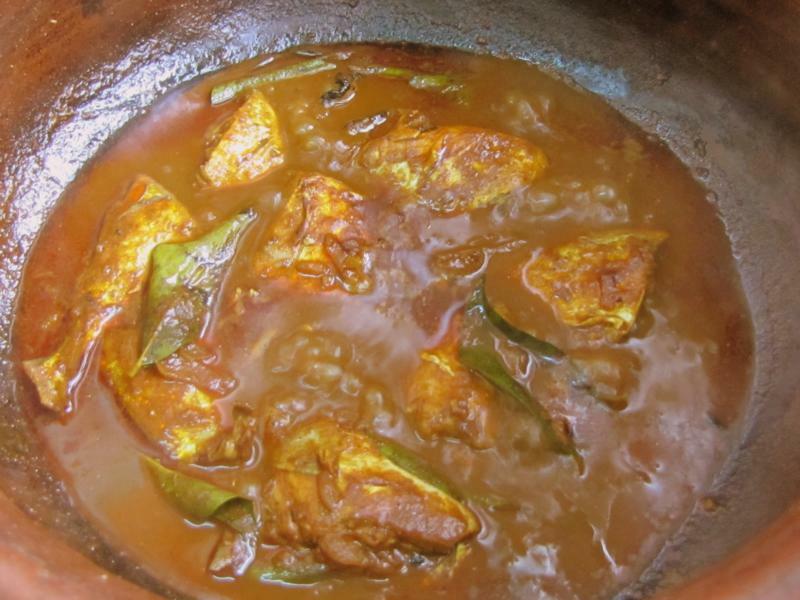 I remember how much I used to love the fish curry made by my neighboring friend’s mom. Aunty used to make a super spicy red fish curry commonly made in south India. Everytime she would make it, she would surely keep some for me. My mom is a great cook and I still take guidance from her for some Kerala recipes, but we are from north Kerala and typically the fish curry made in this region is with coconut milk… for which I have shared the recipe earlier… However, I have always preferred this red version that aunty used to make. Once I started to cook, I promptly took the recipe from her (which she never shared in the authentic form with anyone). Today I am sharing with you this traditional red fish curry made commonly in south Kerala. You can use any chunky sea fish for this curry. I normally use Pomfret or King Fish. 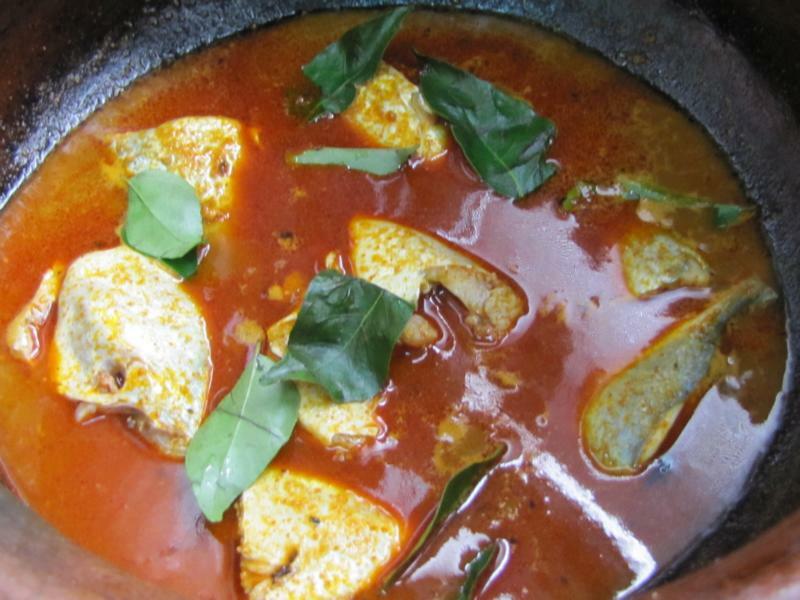 One of the key ingredients in this fish curry is Kodampuli / Kokum i.e a kind of black tamarind. I have searched online but haven’t been able to find an English name for it except the scientific term – Garcinia Indica. It gives the fish curry a tangy flavor, and lends a dark shade. It is washed thoroughly and soaked in water for a few minutes. The red colour comes from red chili powder that is used in generous quantity. 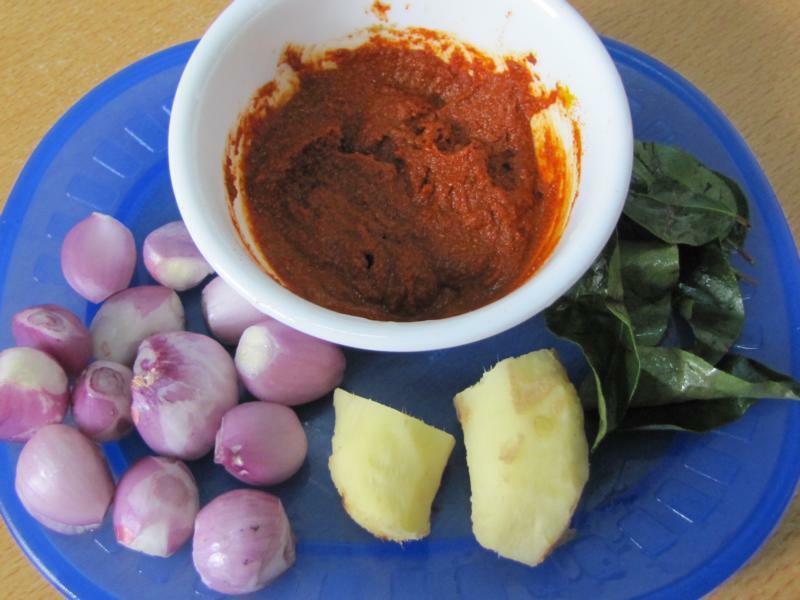 It is mixed with coriander and turmeric powder to which a little water is added to make it into a paste. Grind the ginger and shallots to paste. As I have mentioned before, traditionally fish curries in Kerala are cooked in a mann-chatti – earthenware pan. 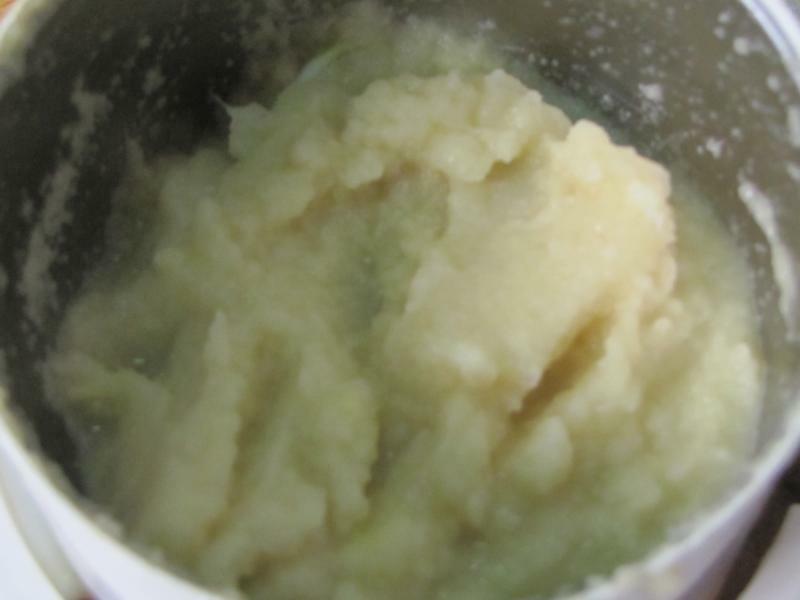 Customarily coconut oil is used for an authentic flavor. 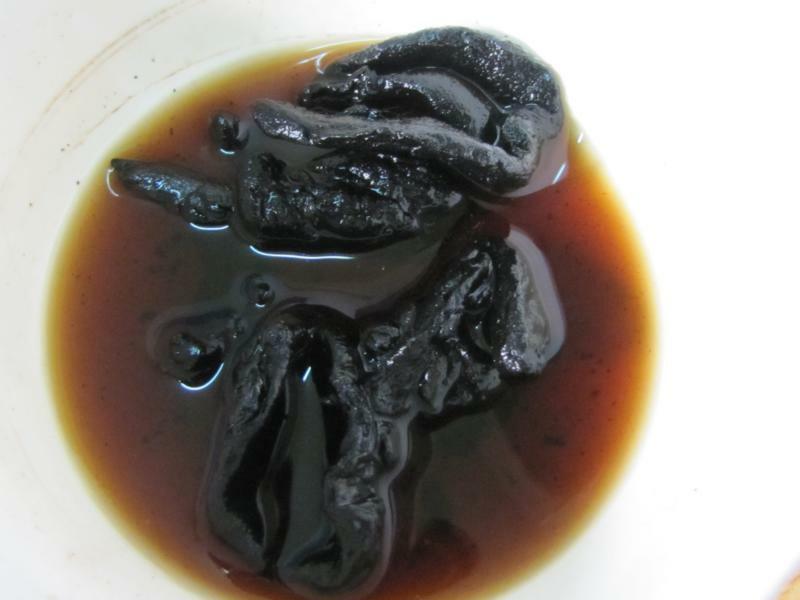 Other oil can also be used. Fry some shallots in the mann-chatti. Add the ginger-onion paste when shallots are brown. 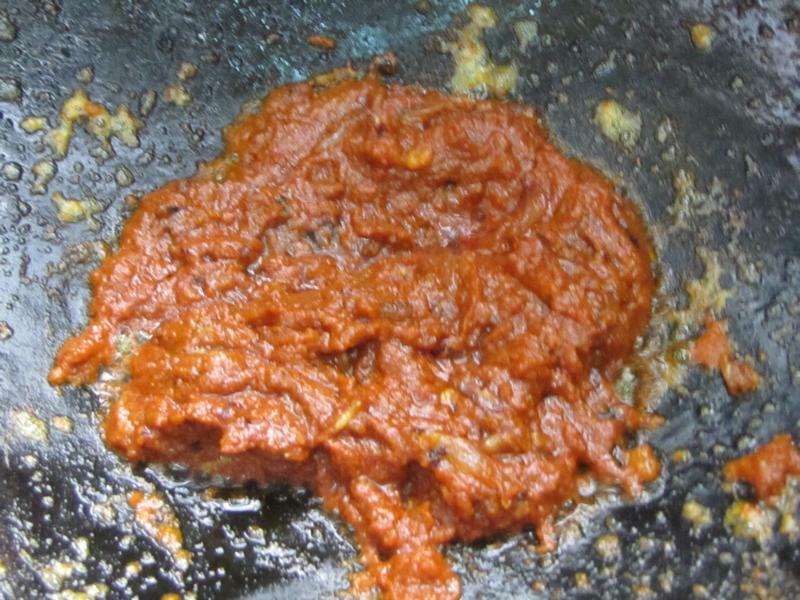 Fry for sometime and add the chili paste. Fry for sometime and add the Kodampuli / Kokum alongwith the water it was soaked in. Add the fish, curry leaves and a pinch of methi powder (powder made of dried fenugreek seeds). Cook for 15-20 minutes till it reaches slightly thick consistency. There is no need to stir or the fish pieces may break. You can gently move the mann-chatti around a bit for the ingredients to mix well. 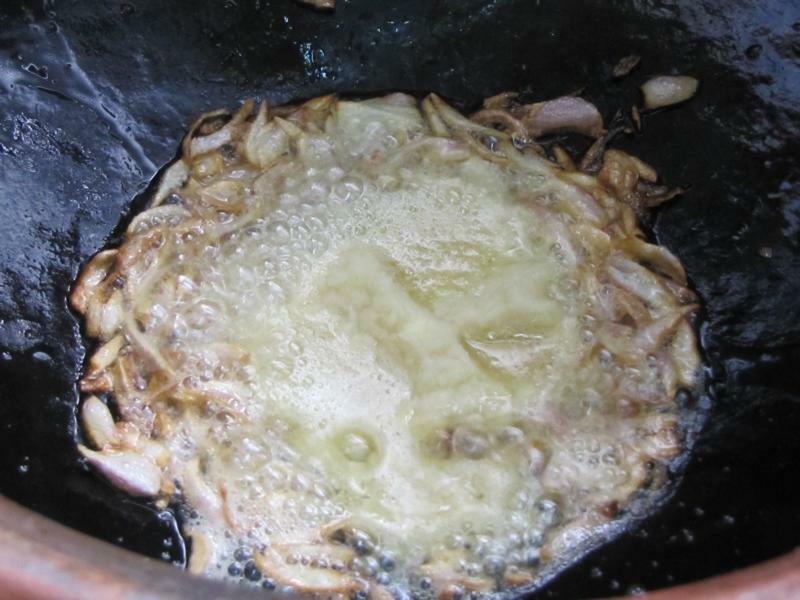 In a mann-chatti, heat some coconut oil and fry the shallots till almost golden brown. Add the ginger-onion paste and fry for another minute. Next add the red chili paste and fry for another 2 minutes. Add the kokum along with the water followed by the fish pieces, curry leaves and then a pinch of Methi / Fenugreek seeds powder. Add salt to taste. Cook till it is of a little thick consistency. This will take around 15-20 minutes. Make sure the fish pieces don’t get broken and to avoid that you can rotate the mann-chatti so that the masala and fish is mixed well.